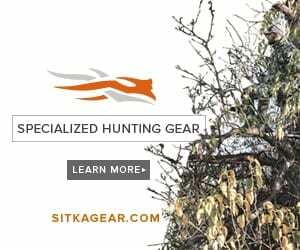 Bozeman, MT – Sitka Gear, the leader in performance hunting gear introduces an all-new industry changing “Next-to-Skin” line. The new CORE Series offers three weights of next-to-skin pieces which have been developed to allow the hunter to fine tune their system to their activity type or environmental conditions. The new CORE Series line up is the first in the hunting industry to be protected from odor causing bacteria using Polygiene®, a permanent odor controlling treatment using silver salts. Polygiene® is widely regarded as the best performing odor controlling system available and the most environmentally friendly. All three weights of the CORE Series Next-to-Skin pieces are available in small to 3XL sizes and depending on the specific item, are available in: GORETM OPTIFADETM Concealment Open Country, the new GORETM OPTIFADETM Concealment Elevated II, GORETM OPTIFADETM Concealment Waterfowl, Dirt, Forest, Coyote and Pyrite. MSRP’s in the Lightweight range from $59 to $99, Midweight range from $89 to $149 and Heavyweight range from $89 to $149.